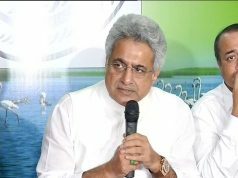 Bhubaneswar: Chief Minister Mr Naveen Patnaik will inaugurate Enterprise Odisha 2017, a flagship event to be organized by the Confederation of Indian Industry (CII) in association with the Government of Odisha at the IDCO Exhibition Ground here from 13-16 December 2017. The theme of the 21st edition of this flagship event is: Odisha Marching Ahead: Inclusive, Innovative & Responsible. Among the companies slated to take part are NALCO, MCL, Tata Steel, PPL, Hindalco, GPIL, , Jindal Stainless Ltd, IFFCO, Dhamra Port Company Ltd, Indian Metals and Ferro Alloys Ltd, , JK Paper Ltd, Gupta Power and Infrastructure Ltd, SNM Group Ltd, NINL, FALCON Group, Oriplast, Balasore Alloys, etc. 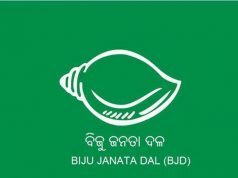 The Government departments such IPICOL and Odisha Mining Corporation etc., will also be there. Enterprise Odisha 2017 will also draw participation from SBI, SIDBI, UCO and other banks. “It is a forum for leading firms to showcase the latest technologies and methods of production,” said Dr T K Chand, Chairman, CII Odisha & CMD, NALCO. Aside from the exhibition, Enterprise Odisha 2017 will feature sessions on Manufacturing Sector – Scope & Challenges; Ease of Doing Business, Minning, Tourism and Plastic. 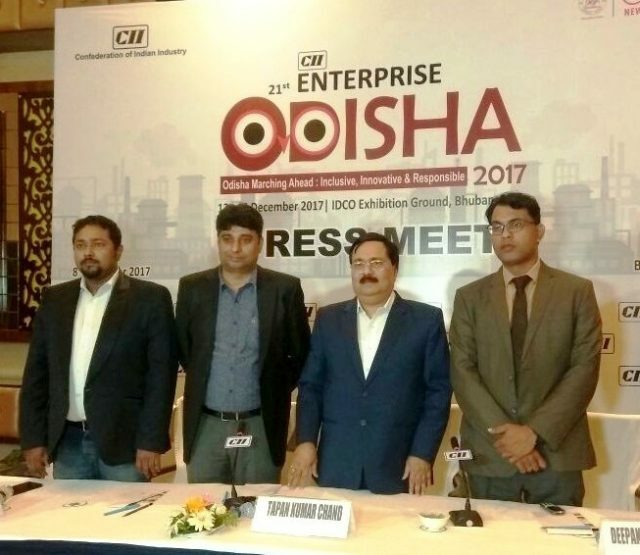 “Enterprise Odisha is a wonderful B2B and B2C platform for interactions between the Government, Industry, financiers and also consumers,” Dr Chand said. “We at CII aim to promote Odisha in the industrial space across the country and beyond. It is a great opportunity for firms of all sizes to connect, showcase and learn,” Dr Chand explained. 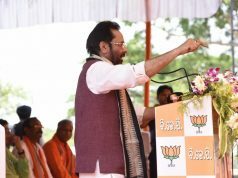 Dr Chand also said that originally, the inauguration of the 21st Enterprise Odisha was scheduled for 7 December, but in view of the uncertainty over the weather conditions in Bhubaneswar in the next few days, the event has been deferred by a few days. Speaking about Yi INNOVEX 2017 Mr Matrudutta Mishra, Chaiman, YI Bhubaneswar Chapter and Director SJ Developer said, YI INNOVEX is the most comprehensive event for the Startup & Innovative community For more details we request you to visit: www.innovexodisha.com .We are looking forward to for maximum participation from young entrepreneurs, Angel investors, Corporate to make this event a great success. This is an excellent opportunity for the start-ups of the land to directly pitch to the prospective investors and get fund against equity. This is a first of its kind opportunity in Odisha created by Yi, Bhubaneswar Chapter” said Tapendra Senapati, Vice Chairman YI BBSR, CEO of Tatwa Techonology. This time we are showcasing 20 enterprising start-ups. We are organising demo day where the start-ups can launch and showcase their products and Services in front of the audience. We are with awards, prize money and goodies to encourage the start ups. We are also organising workshop for the start-ups where mentors will give them guidance how to build successful global entrepreneurs from Odisha, said Mr. Sakyasingha Mohapatra, Chair Innovation & Entrepreneurship, Yi-Bhubaneswar and MD Sak Robotics. Project Yi Udyam Project Udayam is a beautiful initiative by Yi to offer seed funding for individual / groups to spark business. Objectives of Project UDYAM is to spark entrepreneurship in common people and inspire them to be job creators through an engaging workshop managed and moderated by renowned mentors and experts on social entrepreneurship. More than 50 women from different area of Odisha participated in this workshop said by Priti Agarwall, Chairman Udyam, Yi Bhubaneswar Chapter.